Did you know that light bulbs can be recycled and made into new products? 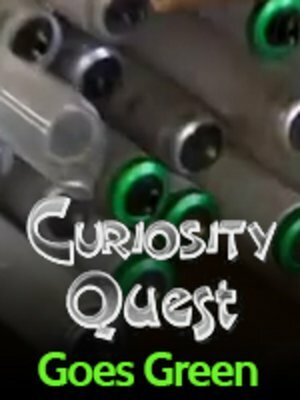 Join the host of Curiosity Quest Goes Green, Joel Greene as he explores the Lighting Resources facility in Texas to learn how they collect old light bulbs. Then they dump them all into an incredible machine that breaks them apart, safely collects the mercury, chops, cleans, and separates them. Lastly, Greene follows the crushed light bulb remnants to a Glass Recycled in Texas to watch the process of mixing the recycled light bulbs in with recycled glass to create gorgeous counter tops and flooring.